Wardrobe Design Centre also has a large range of Custom Designs for Walk in Robes to suit your storage needs. WDC Designs have total flexibility with fully adjustable shelves and other components, which makes your life easy when changes are needed. 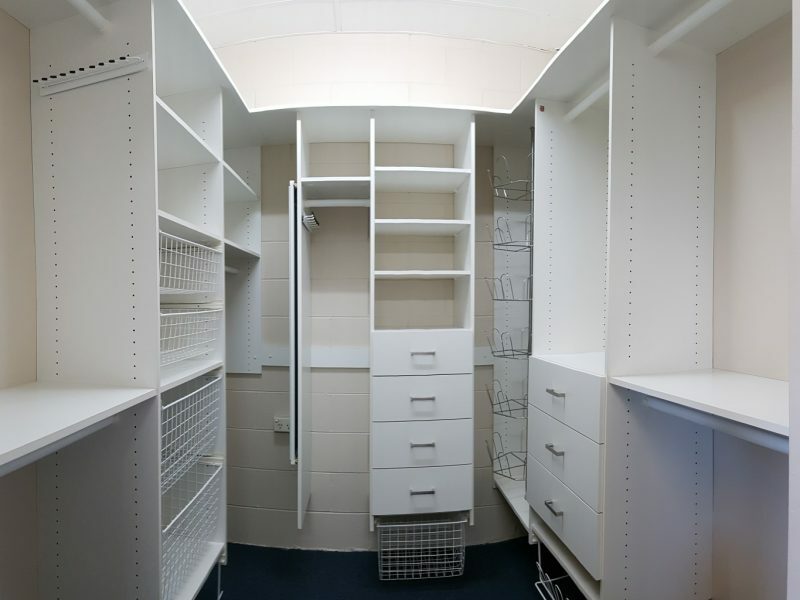 This allows your wardrobe internals to adapt as your storage needs change. 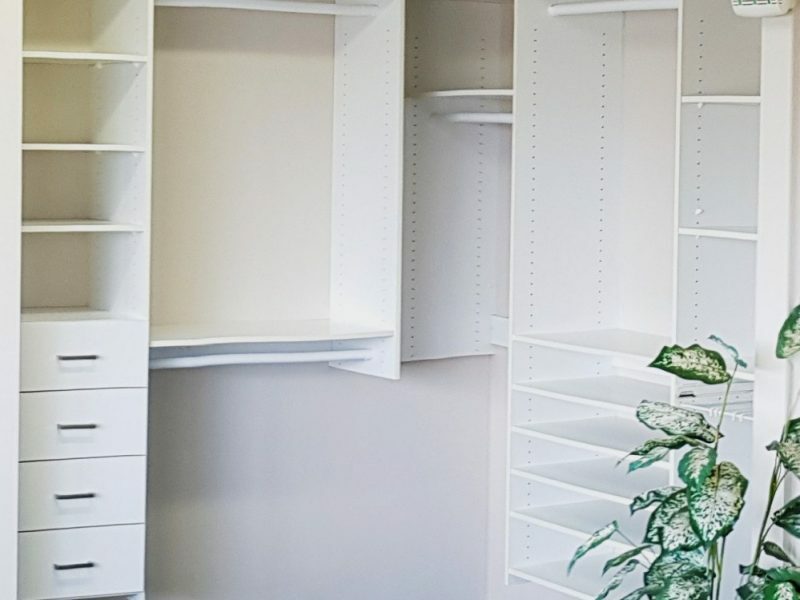 WDC use high quality White Melamine shelving with a very durable 1mm PVC edge, which not only looks great it is also very strong, this ensures your new wardrobes are here to last the test of time. WDC drawers are made with style, vinyl wrapped bevelled edged drawer fronts and matt silver bow handles provide a streamlined look. The whole drawer is constructed from 12mm thick materials for extra strength and longevity. WDC baskets are very handy indeed, made locally with thick white powder coated wire and fitted with smooth Hafele roller runners for many years of trouble free operation. WDC hanging rods are very strong and are made of white powder-coated 32mm round aluminum tube. They will be able to hold the weight of even the largest loads from the modern wardrobe.